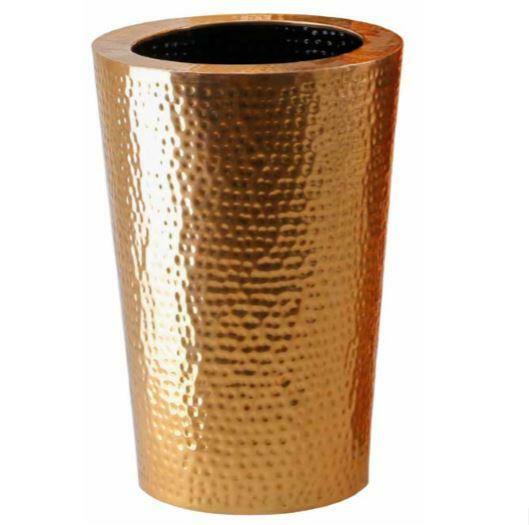 These conical hammered polished copper planters are made of real, solid copper. very much on trend at the moment, the colour adds a warm hue to any garden, home or office. 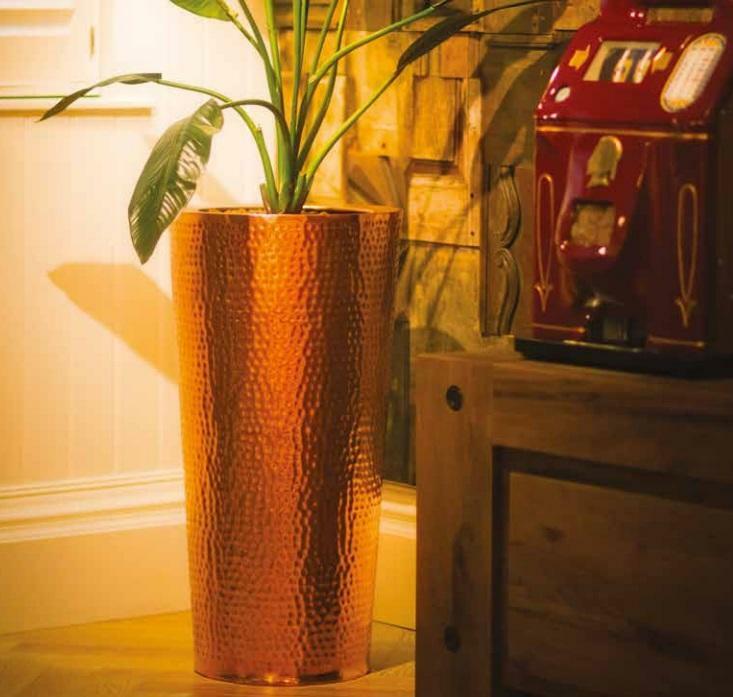 The elegant conical shape makes these planters perfect for contemporary spaces, yet will look equally brilliant in a traditional space. 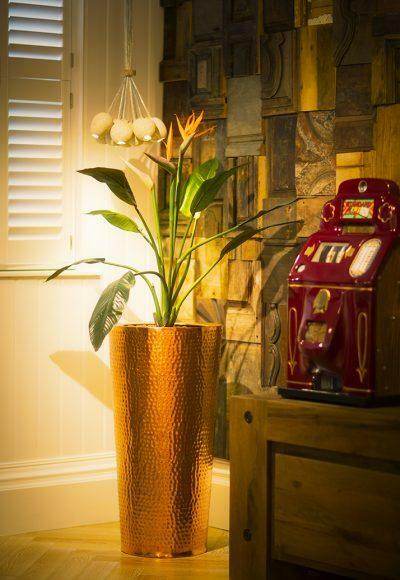 As our hammered copper planters have been lacquered they are perfect for gardens and outdoor use too. All of the sizes compliment each other so they would fit perfect in a set of three or in pairs of the same size.